HP announced a new premium Laptop, which claims to be a direct competitor of the Apple’s MacBook line-up in terms of design aesthetics. 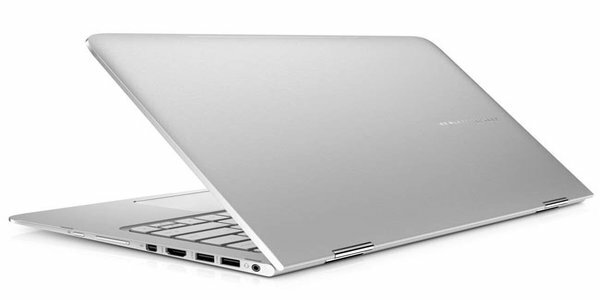 The HP Spectre x360 was unveiled at the Mobile World Congress this year. It comes in 13.3 inch convertible form factor. The company is quite confident with the device and it clearly shows in the staggering price tag of Rs.1,29,990. The company will be marketing the laptop as one of the ‘most premium’ compact PC products. The product is built with a CNC aluminum chassis. As the name suggests the device is capable of rotating an entire 360 degree with the help of the chrome plated hinges. The company promotes 4 different modes which includes a tent mode and tablet mode for greater functionality. In terms of specifications the HP Spectre x360 comes with an Intel ‘Broadwell’ Core i5 chipset which is supported by a meagre 4GB RAM and storage options ranging from 128GB to 512 GB. HP claims that the device can run for 12.5 hours on a single charge. We cannot be sure if the HP laptop will be able to fair against the MacBook line-up but the 4K display panel will definitely be one of the major attractions of this device. With price point easily crossing the lakh mark the device is definitely not for an average user looking for functionality but the company could have squeezed in a little extra power in the HP Spectre x360.